Sylvan Oswald, live at the Ruby Lounge! Part essay and part play, Trainers follows a struggling writer who falls in with a group of depressed queer revolutionaries during a future civil war. Based on an essay by Montaigne and the story of his intellectual love affair with political thinker Etienne de la Boetie, the text explores what it takes to challenge the politics of one’s time. 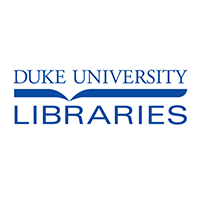 Sylvan Oswald is an award-winning interdisciplinary artist who creates plays and video, and is the 2017-18 Rosati Visiting Writer hosted by Duke University Libraries. His work uses metatheatricality and formal irreverance to explore the ways we construct our identities. Recent work includes a phantasmagorical western High Winds (X Artists’ Books) and the lo-fi web series Outtakes exploring trans identity (outtakestv.com). He is currently assistant professor of playwriting at UCLA’s School of Theater, Film & Television, an affiliated artist at Clubbed Thumb and an alum of New Dramatists. Parking available in Campus Drive lot; non-Duke permit holders please contact Sara Seten Berghausen for parking pass.